How many books would you read from cover to cover in a life time? How big would the stack be ? How would you organize them to show what they mean to you? 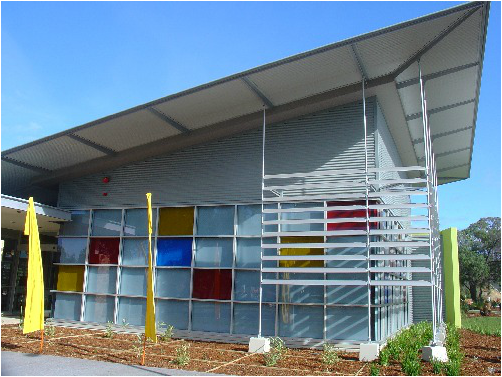 Working from this simple idea, sculptor Graham Hay and 31 volunteers collected, sort and transform over five thousand donated books into a sculptural installation at the at the Falcon eLibrary and Community Centre for the 2008 Mandurah Stretch Festival 2-4 May. between 14 to 28 May the artwork then become a book sale, were over $4000 was raised for the Save the Children Fund. The books came from the Mandurah Libraries, the WA Library Service and the Save the Children Fund. Graham came up with the idea of creating a huge braincell, containing all the books ever read. Given that the books would eventually be sold (to help the Save the Children Fund), plus the sculpture would raise community awareness of the new Falcon library, gave me the further idea of calling it the "Brain Sell" project. A graduate of UWA, Edith Cowan and Curtin universities, Graham Hay is locally and internationally well known for his expertise in paperclay. Last year he was invited to demonstrated in the US, Canada, Norway and Turkey. Already this year he was a guest demonstrator at the New Zealand Annual Pottery Conference and has given six sold out workshops in and the USA. His work is in public collections in WA, Lithuania, Hungary, Turkey, and USA. Less well know is that for the last 15 years he has been drilling, threading, compressing and then carving tonnes of documents and books into sculptures, which have been exhibited across Australia and in the UK, USA, Japan and Holland. Over the last decade Graham has carved over 20 tonnes of paper into sculptures, the largest was a 3 tone spiral in the Foyer of the High Court of Australia in Canberra. Others have included 500 phonebooks shaped into a tunnel to suggest the thousands who have visited the Fremantle Arts Centre gallery. Earlier this year Graham was invited to exhibt a ½ tonne compressed and carved paper sculpture in Southbound in Busselton, a bent and twisted paper arch in Sculture by the Sea at Cottesloe, and a fungi infected compressed paper circle seat in the Melville Sculpture Walk competition. His website: www.grahamhay.com.au is a treasure trove of over 100 pages of information, articles and images of paper clay and paper sculpture from around the world. The local Save the Children Fund organisation who lent most of these books. The Stretch Festival committee which overseas the planning for this weekends festivities. Jane Tillson, Arts/Cultural Development Officer, City of Mandurah who originally invited me to do this project. Alasdair Wardle, Head of Libraries and Learning, City of Mandurah who organized additional books from other libraries including the WA state library (who also gave me three tones of maps to cut up a few years ago). But a HUGE thanks must go to Leigh Angilley and Janine Stacey from the Falcon eLibrary, and their staff for providing the venue, funded the project, took photographs, supportted and just being so tolerant of myself and the many volunteers doing terrible things to their brand new library and books. Finally a BIG thank you to the small army of volunteers, who have given up hours and days of their time to make this project possible and relatively easy for myself. These include the “Unpackers”: Cameron Williams, Jessie Darch, Nathan Smith, Leah Russell, Jessica King, Ben Pepperday, Jade Eringaard, Vicky and Helen from the Peel Volunteer Resource Centre. Then there were the “Sculptors”; Elizabeth Bolton, Patricia Bonser, Leslie Steinbock, Jesika Miller, Joyce Heng, Alison Matthews, Lara Smith, Kathy Finlay, Nola Tester, Thurle Wright, Patricia Rogers, Amanda Parker, Cheryl Hall, Jadwiga Hill. Plus the local high school students; Richelle Hay, Blake Wragg, Davica McDermott, Robert Sutton, Brendon Matheson, Jake Hay, Mitch Davis, Josh Page. Without your valuable support this would not have happened so quickly, and I would still be unpacking and stacking books for weeks to come! Photography by Graham Hay, Leigh Angilley, Janine Stacey and Thurle Wright.